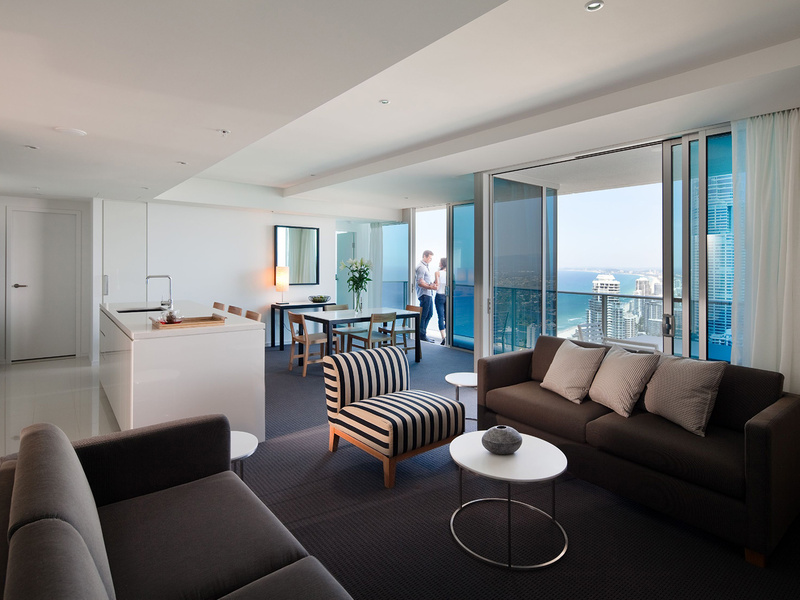 Welcome to a new kind of indulgence in the heart of Surfers Paradise. 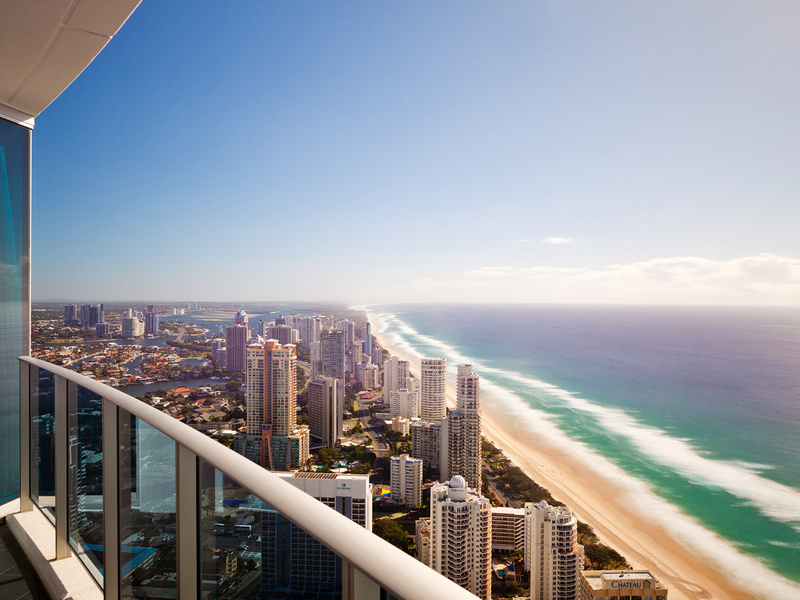 Soaring above the iconic Surfers Paradise beach, the arrival of the world's best known hotel brand is redefining the Gold Coast travel experience. 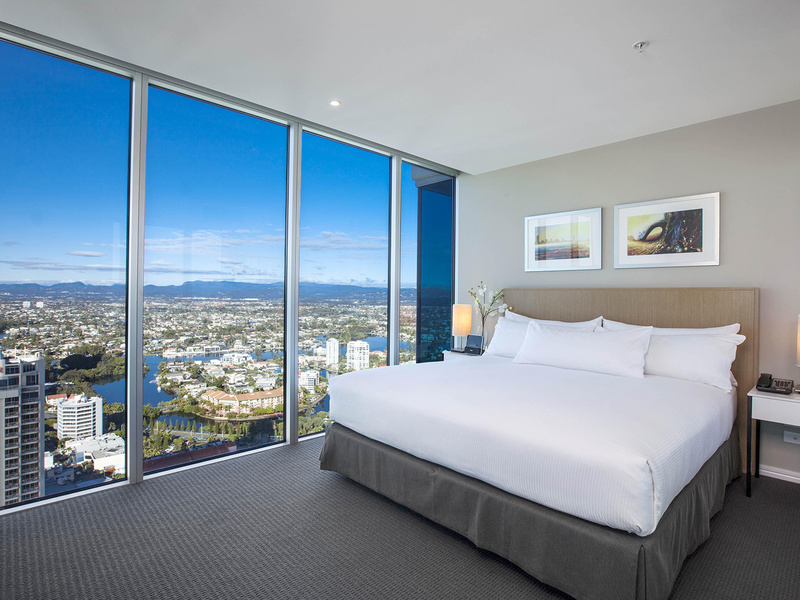 Hilton Surfers Paradise is perfectly positioned between Orchid Avenue and Surfers Paradise Boulevard, next to the legendary Cavill Mall and a short walk from the beachfront Esplanade. 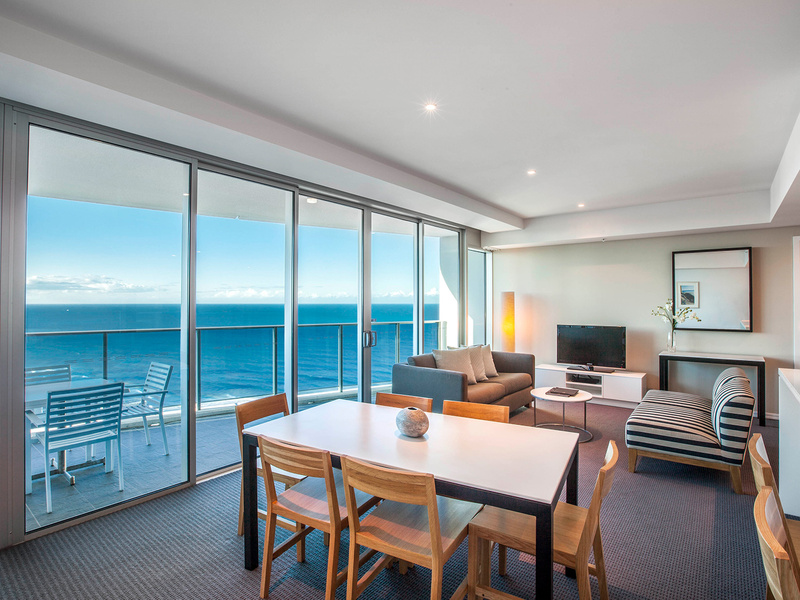 This central location puts all of Surfers Paradises' attractions at your fingertips, from the stunning 42 kilometre stretch of beach to the famous theme parks and restaurant precincts. Hilton Surfers Paradise also offers an impressive range of restaurants and bars including Catch Restaurant, FIX lounge bar with cocktails by a team of expert mixologists, and a European style delicatessen, The Food Store. 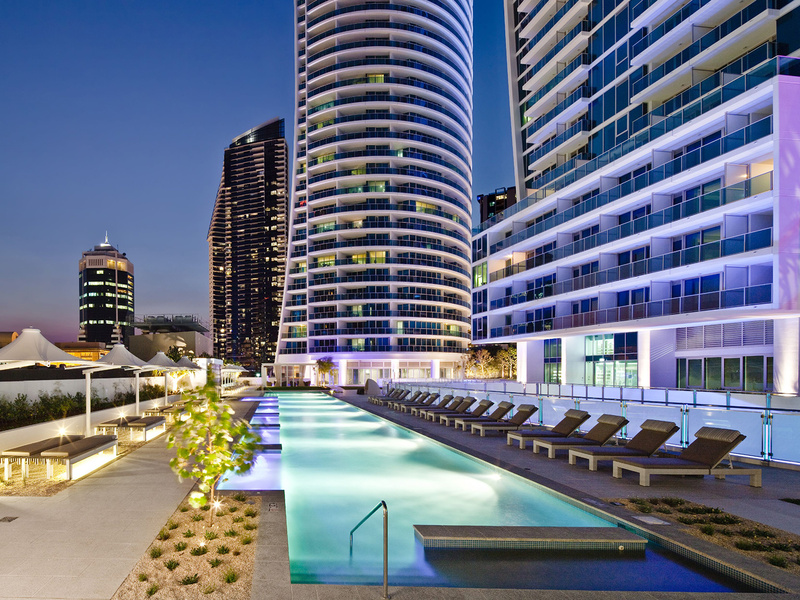 Australia's first new build eforea: Spa by Hilton is complemented by four pools, a pool bar, spa, sauna and a terrific outdoor podium, pavilion and terrace great for private functions and events. 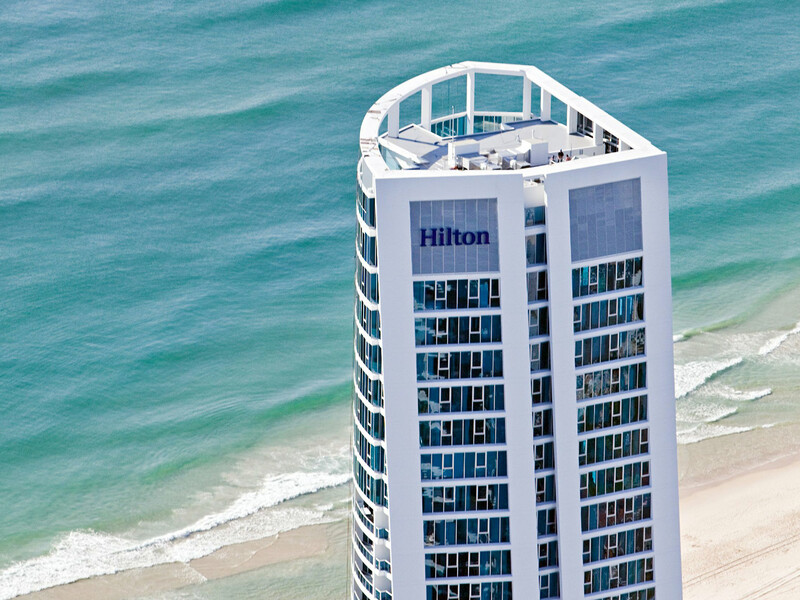 The hotel's stunning towers offer an unprecedented range of accommodation options for business and leisure guests. In the Boulevard tower, 1, 2 and 3 Bedroom Residences provide the ultimate in convenience: modern and spacious accommodation made even better with all the benefits of Hilton's famous hospitality and service. In the Orchid tower, indulge in a stylish and inviting Hilton Guest Room or Suite. 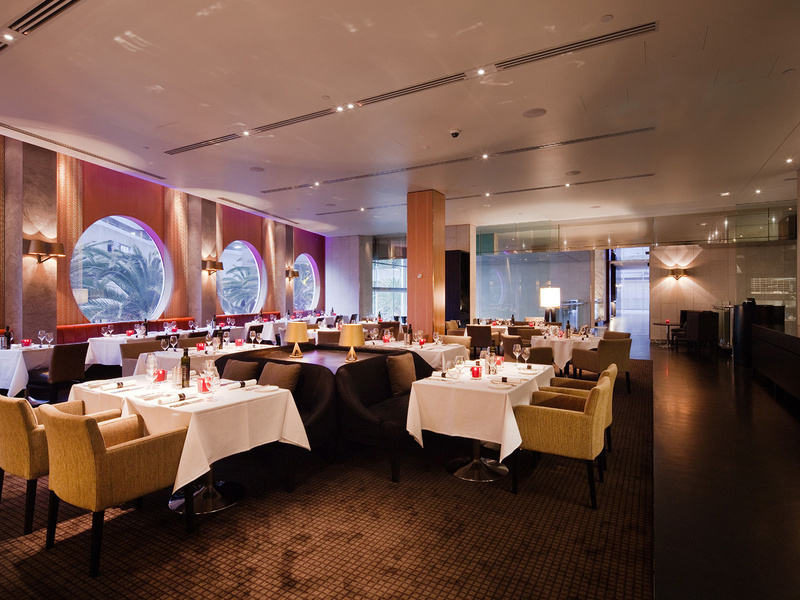 Catch Restaurant - the new signature restaurant at Hilton Surfers Paradise. 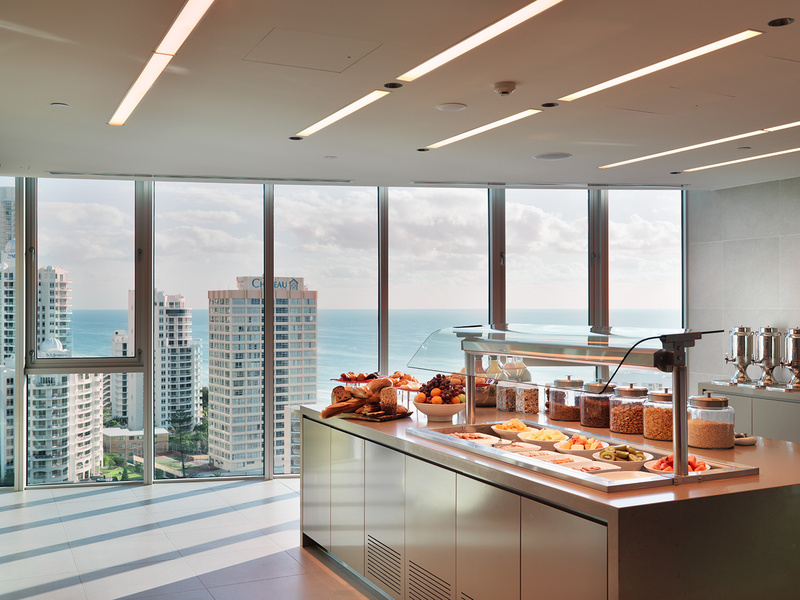 Inspired by the Gold Coast lifestyle, the restaurant offers a vibrant, coastal atmosphere and fresh, affordable cuisine. The new menu, created by Executive Chef Kathy Tindall, has subtle Asian influences and a focus on sustainable seafood. The Deck - offers a bar and dining menu perfect for a sunny day lounging by the pool, and Hilton's valet team is equipped with essentials such as sun cream, hats, towels and even games for the kids. The Deck also offers BBQ huts, a landscaped podium, pavilion, and outdoor terrace that are all perfect for private parties and events. FIX - for a night out at a stylish and sophiscated cocktail lounge: FIX is the place to visit. The Gold Coast's sexiest new nightspot features chic design dressed with vintage glassware and furnishings, giving the venue an ultra-stylish edge. Sample a delicious cocktail creation by the team of expert mixologists. The Food Store - Showcasing the very best local and Australian produce, The Food Store has a keen focus on providing a range of fresh and hearty day time menu options. In conjunction with Chef Luke Mangan, the hotel’s executive chef and the team prepare a daily selection of cakes, pastries, sandwiches, wraps and salads, accompanied by fine wines, Vittoria coffee, freshly squeezed juices and healthy smoothies. eforea:Spa offers a range of sensational organic products and three distinctive journeys catering for both men and women. Located on Level 2 of the hotel, eforea:Spa features a host of innovative design elements to make your pampering experience all the more luxurious. With relaxed seating and lounge areas in which to dine, meet, work or celebrate, the Executive Lounge is open exclusively to guests who choose to upgrade their stay. Guests will enjoy the added luxury of continental breakfasts and tea and coffee throughout the day, along with tapas and drinks in the evening. Opening Hours - Monday to Friday: 6:30am - 11:00pm. Saturday & Sunday: 6:30am - 9:00pm. Breakfast available: 6:30am - 10:30am daily. Evening Tapas: 6:00pm - 8:30pm Mon to Fri. 6:00pm - 8:00 Sat & Sun. Parking The hotel carpark is located approximately 30 metres along Orchid Avenue on the left hand side. Self-parking $15 per day or Valet parking $30 per day (prices subject to change without notice).